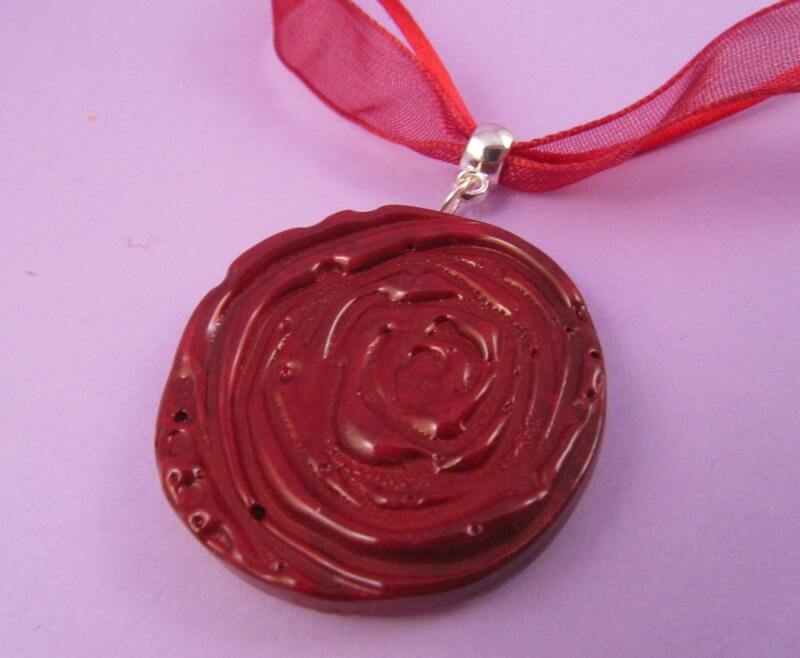 This is a beautiful red rose jewel enamel pendant ribbon necklace. It is created using red and pink jewel enamel (UHT), silver plated copper, satin cord and organza ribbon. It is a versatile piece of jewellery that can be worn either way round. It would look great with jeans. The necklace measures just over 19 inches (48 cm) long and expands to 21 and a half inches (54.5 cm). The pendant is 3 cm in diameter. The pendant has a bubble on the back, seen in the photo, and therefore, is at a reduced price than normal. Folksy :: Buy "Fancy Rose Vintage Style Bronze Locket Pendant Pocket Watch 38mm - FREE POSTAGE"